LOS ANGELES—Let’s assume, just assume, that between the two options presented by US President Donald Trump —one state or two states—Israel chooses the first option. It doesn’t have a majority among the people, but it definitely has a majority in the coalition. President Reuven Rivlin has presented this option in all its glory: One state, full and equal civil rights for everyone. I am writing from the United States. Here and there, I run into BDS supporters, Jews and non-Jews, including activists of Jewish Voice for Peace (JVP)—the most anti-Zionist body on campuses. With some of them, unbelievably, it’s possible to talk. And this is exactly what they are demanding: One state, full and equal civil rights for everyone. Right-wing people write to me occasionally, some angrily, asking how a person like me, who fights against the industry of lies, is unable to see the light concealed in their solution. That’s an odd question. Because a person like me, who fights against lies that turn Israel into a monster, that deny the Israeli Jews’ right to a sovereign state, is precisely against the “solution” that these lies are offering—in other words, one state. So why the hell should I oppose a solution when it comes from the anti-Zionist side and support it when it comes from the Right? The right-wing activists are right to argue that the Palestinian state, if it is ever established—and the Palestinians don’t want it to be established—will be a Hamas state and/or a terror state and/or a state that will serve as a base for rockets and jihad against Israel and/or other calamities. The Right’s predictions, admittedly, have a puzzling tendency to fulfill themselves. But is the conclusion one state? The Palestinians are ready for a two-state arrangement, but not for two people. They want to turn Israel into another Palestinians state through the “right of return.” We should pay attention that here and there, some of the Arab states’ leaders have accepted the two-states-for-two-people formula. It may have happened in the latest regional initiative, on the backdrop of Prime Minister Benjamin Netanyahu’s meeting with former US Secretary of State, Jordan’s King Abdullah and Egyptian President Abdel Fattah al-Sisi, as Haaretz reported Sunday. Such an Arab willingness also existed after former US President Bill Clinton’s proposal in 2000. 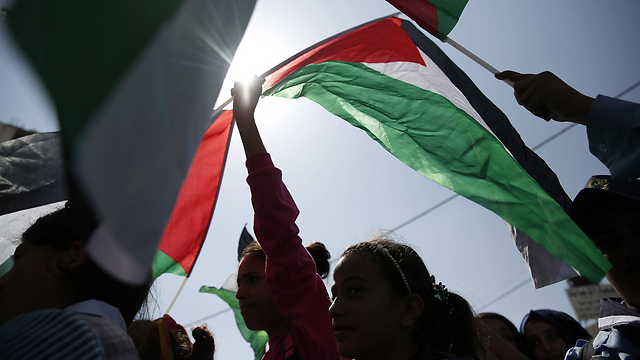 But even then, despite Arab pressure, the Palestinians persisted in their refusal. If Netanyahu turned down Kerry’s regional proposal, that is complete foolishness, because even if Meretz leader Zehava Gal-on were to propose this formula—the Palestinians would say no. But the Israeli Right is insisting on portraying Israel as a rejectionist and the Palestinians as poor people who are being robbed of every chance for a better future. It is insisting on adopting a policy which fuels the terror justification industry. It is insisting on enacting laws with zero benefit and endless damage. Why? This is what pro-Israel Jews are asking me about the Regulation Law. Why? The fact that there is no chance of reaching an agreement in the foreseeable future doesn’t lead to the conclusion that there is nothing to do. First of all, Israel’s proclaimed and public acceptance of a two-state arrangement is part of the solution. If it were clear that this was Israel’s stance, its situation would improve. But it’s not clear. The Right, after all, is insisting on an opposite situation. Even without an agreement, Israel can take unilateral steps which would include both full security control and clear characteristics of a demographic separation and a transfer of authorities to the Palestinian Authority. It’s not simple. There are places, like Hebron, where such an arrangement will encounter countless difficulties. But there are situations in which there is no desirable solution and the least negative direction should be taken. The greatest disaster could happen if Trump encourages the Right, or allows it to keep marching towards one state. The result will be a fulfillment of the BDS vision. This anti-Zionist vision must be prevented. Previous articleWill that be one state or two?